Learning how to lose weight is a must. The number of obese people (i.e. a person who has accumulated 20% more fat than the ideal weight for his body type) all around the globe has doubled since 1980 according to the European Association for the Study of Obesity. They further expressed that overweight individuals (i.e. someone who exceeds the ideal BMI for his or her body) are highly at risk for fatal diseases such as heart attack, diabetes, and stroke. They claim that obesity is the fifth leading cause of deadly fatalities in the world. The good news however, is that even when the numbers have ballooned in recent years, obesity can be prevented and following a specific diet and engaging in physical activities can help in reducing the weight of a person. If you’re someone who is overweight or obese and would like to know more about how to lose weight, here is a round-up of questions that are frequently asked by overweight individuals together with their respective answers. Reader’s Digest and the National Heart, Lung and Blood Institute lists several reasons why people gain weight. Topping their list is the people’s reading comprehension skills. 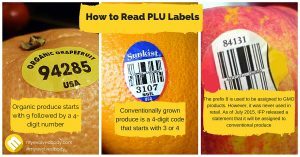 They suggest that reading and not understanding what food labels say can severely affect the weight of a person. People are easily enticed by product labels that say zero trans-fat, or sugar free or cholesterol free, when in truth most of these products have added chemicals that act or have similar effect as sugar, fat, and cholesterol. The second thing they talked about was too much consumption of soda. They reminded everyone that this common and globally popular type of drink contains a lot of sugar. According to Authority Nutrition, sugar is converted into fat by the body when they are consumed in far too large amounts. The excessive amount of sugar present in soda will be converted into fat by the liver. WebMD also agrees by sharing the study conducted by Hannah Gardener, PhD, from the University of Miami. Part of her research was already shared to the media, and according to the partial results, there is 48% increase in health risk for individuals who drink soda daily. Then, there’s chronic stress. MayoClinic suggests that when people are stressed out, they tend to eat more unhealthy foods, which more often than not contributes to significant weight gain. When chronic stress kicks in, the body releases high amounts of cortisol and insulin which trigger the strong appetite for sweet and carbohydrate rich food. This physiological process is fairly common to workers and students, which is why it is very typical to find them a bit overweight. Sleep deprivation was also tackled in the list. Reader’s Digest said that lack of sleep can affect a person negatively because people also tend to consume 300 calories more every time they aren’t well rested. NY Times explains the relationship between sleep and weight gain by saying that people who are sleep deprived will tend to eat any kind of food to make up for the calories that they burn up while they stay awake. Thus the body experiences a significant weight gain, especially when sleep deprivation happens more often. Binge eating of course was also mentioned in the list because this is primarily why a person gains weight regardless if he or she is sleep deprived, stress, or just has a strong fascination for food. They also listed quite bizarre reasons like cozy room temperature. They claim that the cozier the temperature is, the less likely it is for a person to lose weight. A colder room can promote the body heat up naturally, which can trigger the burning of stored fats. Phthalate, according to Tox Town, is a compound found in most plastic containers, was also claimed to trigger weight gain because it disrupts the production of hormones that are used by the body to burn off fats. They also mentioned how hanging out with a fat friend can most likely trigger obesity of a non-obese person. This might sound quite questionable, but the New England Journal of Medicine has published a study proving it. Inactive lifestyle plays a huge role in gaining weight. Inactive lifestyle often consists of watching too much TV, sitting in front of a desktop screen for hours, relying too much on the power of technology. These activities keep you from engaging in simple physical activities like walking or running. Experts like NIH say that spending at least 2 hours a day in front of the TV can result to weight gain. NBC news further added that for every 10 percent increase in the total spending of a particular country on ICT product, the obesity rate increases by 1 percent as well. While there is a big difference between being overweight and obese, it never hurts to know the numbers. There are some cases where individuals who are under medication gain weight. Most of these medications include anti-depressants, and steroids. Some medications used to manage blood pressure can also contribute to a 10 pound weight gain per month. Are some people more predisposed to get fat? Genetics may play a small role in weight gain. . Your genes contain all the information that dictates the physical traits that you are meant to have, but your surrounding and lifestyle can alter these traits, which includes your weight. 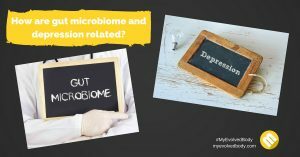 While some people are more genetically predisposed to gain more weight, lifestyle and other important but overlooked factors such as emotional health should also be considered. Harvard University School of Public Health insists that having the “obesity gene” does not necessarily seal your fate. Your surroundings and your choices in life can affect your weight positively or negatively regardless if you have the gene. A stressful working environment for example can result to poor eating habits, so whether you have the gene for fast gain weight or not, this external factor can affect you negatively, Dr. Michael Roizen MD, a chief wellness officer at Cleveland Clinic pointed out that apart from influencing the physical traits of a person, the emotional traits can also be affected by the genes, which is why, there are individuals who find it so hard to lose weight, while other find it quite easy to do. However, Dr. Roizen emphasizes that heredity isn’t the sole factor that controls weight gain. There are other things in play, but genes can help affect the results. Weight loss tips are everywhere. You can watch videos on YouTube, read articles on health blogs, and purchase eBooks or magazines that are dedicated to discussing fitness techniques and methods on how to lose weight, for a more fabulous and healthy body. However, because there are so many tips out there, it can be quite confusing on which works best for your situation. There are some tips that can be quite contradicting as well. Some will tell you not to eat, while others will push you to eat more, so it’s very useful to know which of these tips are really effective. This is where everything gets confusing especially for weight loss beginners. There are health authorities like Mind Body Green and Women’s Health that insist that eating more is better to weigh less. A handful of resources such as NY Times and SF Gate on the other hand claim that it should be the other way around – eat less, to weigh less. So what should you follow? Sadly, there is no simple answer to this question. It’s a matter of looking into the details of what you should eat more, and which you should eat less. Most weight loss tips would tell you to eat more foods with fiber such as veggies and fruits, and protein rich food for breakfast like eggs, and dairy. As for the carbohydrate intake, health experts suggest that you should. Studies have also proven that eating protein rich breakfast is guaranteed to lessen your risk of becoming overweight. Authority Nutrition reports that Intermittent Fasting is among the trendiest fitness tips today. 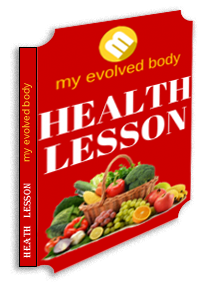 This practice involves developing an eating pattern instead of picking which food to eat. The principle behind this practice is that your body has developed to withstand hunger for an extended time. 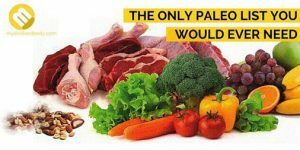 Back in the ancient times, our ancestors had to adjust their eating patterns because of the lack of food sources. They had to adapt to feast and famine cycle yet compared to average lifespan that we have today, they have lengthier lifespan than us. This is the premise of intermittent fasting. There is a long list of benefits that you can get out of this food intake technique. James Clear shares that you can increase your muscle mass and trim off your body fat if you are able to follow the instructions correctly. According to Daily Burn, there are five intermittent fasting methods. Each of these involves different eating and non-eating time pattern. Women will need to fast 14 hours, while men will need 16. You have the option to divide these hours in between the morning and the evening. The rest of the hours should be dedicated to eating. Take note, that you have to strictly follow the eating hours in order to keep your body well nourished. During the fasting period, you are not to consume calories. The food products exempted to this rule are black coffee, sugar free gum, diet soda, and zero-calorie sweeteners. For the Warrior Diet, the fasting period is set at 20 hours. For the remaining hours, you will be required to eat a heavy meal. You are permitted to eat small servings of fruits, and protein rich food during the fasting period. Unlike the Leangain protocol, which involves an eating and fasting time frame, The Warrior Diet is more like under-eating for the first 20 hours and overeating for the remaining 4 hours. The Eat Stop Eat method involves fasting for a day or two every week. You should not consume any food during the fasting period except for calorie free drinks. After the fasting period, you are to return to your normal eating habits, as if you didn’t fast at all. This method is usually paired with resistance training to help you meet your weight goals. For individuals who would not mind taking it up a notch, the Fat Loss Forever is the perfect choice, since it is more like a Eat Stop Eat, Warrior Diet and Leangain Protocol combined. 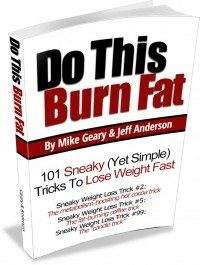 This method involves cheat day, where you get to eat whatever food you want, and then a fasting period of 36 hours. For the rest of the days, you can eat like how you normally do. As the name suggests, the Alternate Day fasting, or the UpdayDownDay method involves eating less on a particular day, then eating normally on the next day. For this method, you need use the suggested calorie intake per day to compute for the amount of food you will eat. Men are recommended to consume 2500 calories a day, while women are limited to 2000. During the fasting period, you will need to trim this off to 400 to 500. Drinking water is a fundamental health practice. Everyone is familiar with the popular saying of drinking 8 to 10 glass of water. 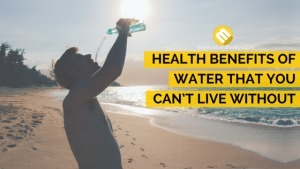 It is also known that without water, you would experience a number of health problems. Without it, you won’t be able to focus clearly. You will also notice that you tend to get tired faster even after a slow paced activity. The more you deprive yourself of water, the faster your body wears out too. Apart from being a matter of necessity, you can use water to solve your weight problems. Time Magazine cites a study that claims that drinking 16 ounces of water before eating can help you lose weight. You don’t even need to read the study to be convinced, because you sure have experienced feeling full after chugging a glass full of water. We have discussed the importance of drinking water in another article. Click here to read it. Exercising of course is the popular method to lose weight. There are different kinds of exercise routine that you can do, but among these, cardio exercises are the most suggested. This form of exercise is seen to be the most effective because of its ability to elevate your body’s metabolism for up to 24 hours after your usual cardio exercise routine. Popular examples of cardio exercises include running, jogging, walking, swimming, and cycling. Mike Geary, the brainchild behind TheTruthAboutAbs.com emphasizes however that cardio exercises should not only be limited to vigorous physical activities like running in treadmills or jogging along the park. Cardio exercises should also include all physical activities that can help in conditioning the heart. As long as an exercise can increase the heart’s pumping rate, even when they’re static like weight lifting, they can be considered as cardio exercises. WebMD and Authority Nutrition both emphasize that “not all calories are created equal”. A lot of individuals who are on a diet always forget the fact the 90 calories from drinking 1 can of Soda is different the 90 calories from a large piece of orange. WebMD further points out that the quality of calories you take in will also affect the quality of calories that you remove from the body. Therefore, calorie counting should not be solely based on the number, but also on its quality. Knowing your progress helps you lose weight. This was proven in a study published in the Journal of American Diet Association. Think of it as a way of sketching your life goals to help you make decisions along the way. Understanding how well you’re doing with your routine can help you choose other methods that would better for your weight goals. You also get to identify if a certain routine or weight loss tip isn’t the right choice for you. Starting a weight loss routine can be easy but keeping up is the real challenge. There are many who give up while they’re halfway down the whole process. Others don’t even make it halfway and they end up going back to their old habits. Women’s Health shares 13 ways on how to stay on track. Charting progress, having massages, attending exercise classes, and staring at your body in the mirror every day are just four of the different things that you can do to keep yourself motivated. Seeing no progress even after pouring out all your effort can be quite devastating. A lot of people stop doing their weight loss routine because of this. If you’re among the individuals who suffer this problem, then there is a huge probability that even if you’re putting all of your heart into the game, you’re doing something wrong in the routine. You need to rethink and regroup. Find out what’s keeping you from your goals and identify what you should do to counter that mistake. Weight loss plateau, or slowed weight loss are also normal. In the beginning you can notice that there is a very rapid weight loss rate, but then it tends to stop after a few weeks or even months. MayoClinic explains that this is normal because metabolism slows down during the process. They recommend that you try to cutback more on your calorie intake or increase physical activity to improve your weight loss rate. A lot of weight tips focus on instructing people to go for whole food instead of processed food mainly because of trans-fat. Trans-fat or the partially hydrogenated oils can be produced naturally or artificially. The naturally occurring trans-fat are found in meat products and meats while the artificially occurring type is mass produced to prolong the shelf-life of vegetable oils used to make different products like chips, fries and the like.This substance is usually credited for the desirable taste of processed food items. 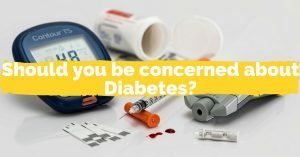 When FDA has disapproved of its use, some food companies renamed it to partially hydrogenated oil instead, fortunately, in the recent years, US FDA have determined that this substance is not Generally Recognized as Safe (GRAS) any more. Are there weight loss myths? A lot of people want to lose weight, and unfortunately, a large fraction of them are easily fooled by beliefs that are said to make them lose weight faster. NHS UK and National Institute of Diabetes and Digestive and Kidney Diseases lists a good number of weight loss myths that you should be aware of. Engaging in overwhelming physical activity to hasten calorie burning. Opting for more expensive food products because they are healthier. Starving to achieve a smaller waistline. Drinking slimming pills for quicker results. Relying on fat free food because the label says so. Fad diets are the best solution to weight gain. Low fat products are always fat free so it’s best to go for these products all the time. Healthier food options are very pricey. Always remember that weight loss is a journey, and you can’t take short cuts to get to your goals. Cheating your way to your target weight can result to bigger health problems and unsatisfying results. Should I get a fitness trainer? Esquire suggests that there are five reasons why you should hire a fitness trainer. Among these reasons, having someone see how far you have progressed is probably the most convincing one. Sometimes, we get too focused on the routine that we forget to appreciate how much we have gained from the process. Which is why, it could be quite beneficial to have someone remind you of what you have achieved throughout your weight loss journey. Hiring a fitness trainer will solely rely on your preference. They can help you make a personalized diet and exercise routine, manage your expectations, and encourage you to go further but if you think you can do all of this yourself, then you’re safe to do things your way. What helpful resources about how to lose weight are out there? Understanding the role of a particular diet is important for every person’s weight loss adventure. It can guide you through a more logical approach in picking the food items that you should or should not eat, instead of blindly following what other health magazines, and health experts tell you. If you want to learn more about how to lose weight, reading valuable health resources can help you obtain the right information you can use for your diet. 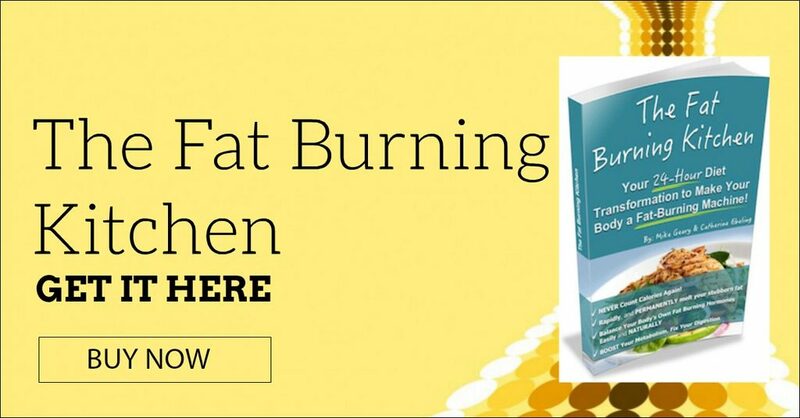 You can read the Fat Burning Kitchen, which will provide you with necessary information about the different roles of food in your diet. Do this, Burn Fat, is also a similar book, which tackles about 101 diet tips that are guaranteed to trim off the excess flab in just a matter of time. 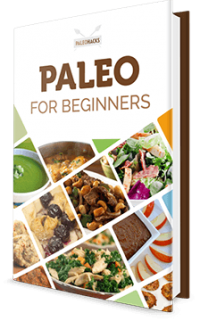 This book lists the usual diet secrets and some other bizarre tips that would blow your mind. 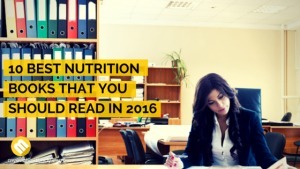 In addition to these books, you should also familiarize yourself with the best nutrition books in the market. These can guide you in creating better meals to help you lose weight and stay healthy at the same time. Losing weight is definitely not an easy task. But thankfully, if you have enough willpower and knowledge about your condition, you can make plenty of adjustments that can change your life for the better. There are tons of tips that you can follow, and once you put your heart to the task, it’s not impossible for you to achieve your fitness goals. Why do some people gain weight more easily than others? Have you been wondering about how to lose weight? We've compiled the most reliable studies and sources on how to eliminate that unwanted fat.